Well the time has come. Shirley & I are homeless and unemployed after 39years & 3 mths in this business. We have mixed emotions at this time. Sad to see our life's work stopped, happy to be stopping the the constant work cycle and the pressure that goes with it, sorry to be leaving our staff behind, not too happy about not seeing the very best of the children and young adults on the school buses again, not too pleased about not taking people on wonderful holidays again, very happy to be looking forward to some well earned rest and time to ourselves. Too many people in this short post to thank and mention. We must thank our children, Natasha, Maxine and Jay for the happy years in our present home when they were growing up and the tolerance they showed when Shirley & I were so busy working. Their husbands in Bruce & Greg and Jay's partner Julie for the way they have entered our family and the wonderful Grand Children in Boyd, Callum, Ewan, Aisha & Jamul that are now part of our lives. We have sold our business to Yorke Peninusla Coaches of Kadina. We wish them well in the future and hope that they have many prosperous years with their new aquisition. Please direct all enquiries for Charter and Tours to them from now on. I will put further posts on site in the near future. Regards & thanks to all our friends, staff and customers. The journey had it's ups & downs but I wouldn't change one single thing. 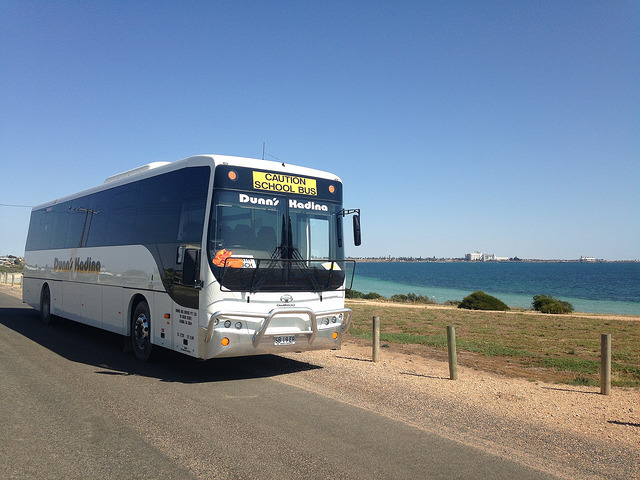 For Charter Enquires, please contact Adelaide Coachlines or Yorke Peninusla Coaches. For School Bus Enquires, please contact Yorke Peninusla Coaches.